Jeanne and I are thrilled to announce that the Kindle version of our second book, OCP: Oracle Certified Professional Java SE 8 Programmer II Study Guide: Exam 1Z0-809, is now available for purchase on Amazon! The OCP paperback edition, available for pre-order, is currently printing and will be shipping in the next month. This book, which is nearly twice the size of our previous OCA Study Guide, is chock full of information on topics ranging from design patterns, to concurrency and NIO.2, to JDBC. Unlike many other older study guides, we have written our material centered entirely around Java 8, with an emphasis on lambda expressions and streams. 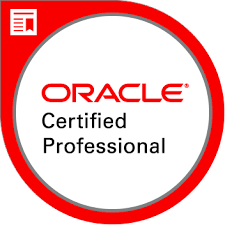 While some experienced developers can pass Oracle’s OCA exam with limited amount of studying, the same cannot be said for the OCP exam. Besides the large-scale inclusion of lambda expressions and streams, the exam covers includes much broader topics that seasoned developers may not be readily familiar with. For example, you might have been using JDBC for years, but can you list the differences between obtaining a connection using the 3.0 and 4.0 versions of the drivers? You may have also been reading and writing files with java.io streams for years, but we bet many of you haven’t ever used the mark(), reset(), or skip() methods. It is for reasons like these that we strongly recommend you study carefully for the exam using our book or an equivalent study guide, avoiding the pitfalls (mentally and financially) of having to pay to take the exam multiple times. Our book covers all 3 variations of the OCP exam, including a dedicated Appendix for those taking the Java 6 or earlier version of the OCP 8 upgrade exam, as it contains material not found in the other two versions of the exams. We hope you enjoy reading this book as much as we enjoyed writing it!